Let’s face it, when we travel, we travel for ourselves. A lot of us, (including us), are guilty of this habit. We travel to relax, to celebrate a special occasion, to find ourselves, to visit family…the list goes on. But how many times do we travel to make a difference in someone else’s life? For the first time during a trip, we did something to give back to the community and it will remain as the most rewarding travel experience we will cherish forever. After this fulfilling experience, we are eager to continue to travel more in order to help communities, such as a Caribbean cruise to make a social impact. 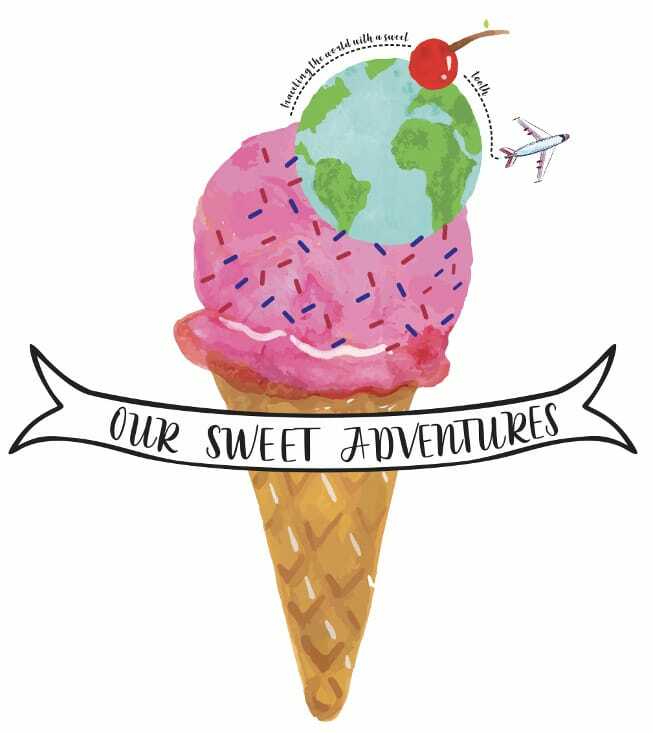 Traveling with a purpose is the “sweetest adventure” we could have ever asked for. We chose to stay at Tongabezi in Zambia to celebrate our two year wedding anniversary because of their five-star service AND community work. It is not every day where you see one of the best resorts in the world give back to the community. Tongabezi has a trust school next to their resort called the Tujatane School. Guests of Tongabezi are able to visit the Tujatane School and see the children in their classrooms. A SPECIAL THANK YOU to our family and friends who helped donate school supplies and money to the children at Tujatane School. While at home, we learned that we could donate school supplies to the children and Tujatane. So, we put our two brains together and came up with an idea! We wanted to be able to fill two backpacks with school supplies. The backpacks would be our carry-on for our flights and act as a way to pack all the supplies. Then we would also be able to deliver the school supplies and the backpacks! When we told our family members our goal, they were quick to jump in. Before we knew it, we started a campaign to help raise money or donate school supplies for the children at Tujatane School. Then another idea came to our minds…. Christina receives monthly inspirational necklaces from Mariamor Designs (click here to read more about Mariamor Designs jewelry) and decided that the necklaces would be a perfect gift for the young girls at Tujatane School. So we started another campaign where we partnered with Mariamor Designs to collect necklaces that can inspire the girls to be strong, bright women and fulfill their dreams. So many of our friends and family were generous to help in many ways. Some donated school supplies, some donated money and some purchased necklaces. We were so grateful for everyone’s contributions and so excited to be able to bring smiles to all the children. Tujatane – “Let us hold hands together”. The Tujatane school was established in 1996 by Vanessa Parker. Vanessa is the wife of Ben, the owner of the Tongabezi resort, and she quickly realized how much a school with good education and availability to the local community was needed. It first opened to provide an education for the Tongabezi’s staff member’s children, but with its quick success, the school started accepting children from low-income communities and disadvantaged backgrounds. Since 1996, the Tujatane school has surpassed all expectations and is an award winning school. Tujatane went from 15 students (Tongabezi staff’s children) to at least 275 students, ranging from 2 to 16 years old and from many local communities. The mission Vanessa Parker and the staff of Tujatane strives to meet is giving underprivileged children in the local communities a great education by offering small class sizes with quality teachers. In addition to the primary school subjects, the children also get to participate in extra-curricular activities such as, computer science, sports, music, drama, cultural dance, chess and art. Tujatane follows the same curriculum that the government mandates for the schools that accept privileged children. Not only that, but Tujatane excels at the same level as the other schools and are champions in some of their extra-curricular activities against other schools. There are plenty of children, now young adults, who we saw on the alumni wall that have gone on to succeed in great career fields, such as a pilot and accountant. We cannot speak for everyone, but children in the United States go to school and complain until the day they graduate from their respected university. Their parents either pack them a lunch or give them money to buy lunch at school. As children grow older, they complain about having to take the bus to school or if they are fortunate, they get to drive to school in their own car. Essentially, school is something everyone “must” attend. This does not apply to the communities in Zambia. The children at Tongabezi LOVE going to school. They are excited to learn and grow into a young adult. School gives the children an opportunity to have a better life. They also love going to school because they get to eat a meal. It is heartbreaking, but a lot of the children do not get fed at home because there is no food provided. Some children walk as far as one and a half hours away!!!! A total of three hours every day just to attend school and they walk by themselves – no adult supervision. Needless to say, the children that attend Tujatane do not take their education for granted, they work to their best abilities to be able to have a better future. During our tour of the school, we were very impressed with the classrooms, materials and quality lessons. When we would walk into a classroom, the children’s faces would light up with pure joy. They loved telling us their favorite subject, what project they were working on and taking group photos. Tujatane has several classrooms for each grade, an art room, a library, a computer science room, a science lab, an auditorium and more. At the end of our tour, we went to the auditorium to a performance by some of the children. The children were so proud and happy – not a single one was shy with stage fright. One group described what competition meant to them, another group were drummers and the last group were cultural dancers. The children did a wonderful job in their performances, we were so thankful we were able to be a part of this. Check out their full performance below. As we mentioned before, thanks to our family and friends, we were able to collect enough school supplies to fit in two backpacks, as well as, money to be used for any purpose the school saw fit. The staff were so appreciative of our donation, they could not say thank you enough and yet we felt like we didn’t give them enough. Though the school succeeds in many ways, they cannot keep their doors open without donations. Being able to donate was such a rewarding experience for us that we swear our hearts grew bigger for everyone at Tujatane. Another big part of this experience was speaking to the children about never giving up, to work hard, stay in school and dream big. These are all words inscribed on Mariamor Designs coin jewelry that were donated to Tujatane. The staff of Tujatane explained to us that they have a Girl Empowerment group to help their young females and the necklaces would be the perfect gift to some of these girls. We received an email from Tujatane that every half term, one necklace is given to a girl in her group who has either made a valuable contribution to the group, asked a difficult question or has come out of her shell. We could not be more delighted to hear that the necklaces of Mariamor Designs is making a difference in these girl’s lives at Tujatane. Go show the world what you are made out of girls! Check out Christina’s speech to the children in the video below. Tujatane School is a trust school that is funded entirely by charitable donations from around the world. Luckily, there are countless ways to help Tujatane School and many can be accomplished while at home. Keep in mind, a little to you is A LOT to them. The children who attend Tujatane typically live with their families in mud huts. The mud huts are mostly comprised of one or two rooms, which are used as a bedroom for the parents and children and a living room. These mud huts have no running water and limited access to electricity. Outside of their mud huts are the kitchen, which is an outside charcoal burner, a grass hut for the bathroom and a grass wall for the shower, which the family must bring a bucket of water to wash themselves. We were able to tour these villages to look for ourselves – everyone we saw were hard working and happy. Those who were able to send their children to Tujatane were more than thankful. So after seeing the villages and school first hand, we promise, a little goes a long way. Their primary source of donations come from the United Kingdom with a charitable trust fund. Through the UK charitable trust fund, a majority of donations are raised through charity events and the “sponsor a child” program. Donations from the United States are through Charities Aid Foundation of America. Sponsoring a child is the biggest way you can help, this assures a child gets to go to school and receive a quality education. When you sponsor a child, you are not just writing a check every month, you are getting to know the child by receiving regular school reports, pieces of work, pictures of them and more. Tujatane School will email you everything during each term and more if asked. We even heard stories how a family sponsored a child all the way through college – we could not think of a more rewarding and generous experience than this. Sponsoring a child is $75 or €50 a month. Click here for more information on how you can sponsor a child at Tujatane. How many of us purchase items on Amazon? How many times do you purchase an item? Once a month? Once a week? Through Give As You Live (click here to visit the site), you can shop online while donating to Tujatane – it cost no extra charge! This program has hundreds of online stores to choose from that donate a percentage of your purchases. You are also able to keep track of the amount you have donated through purchases on your Give As You Live account. Talk about a win-win for everybody! Here is a list of our favorite stores and the amount they donate to Tujatane. To see more ways of how you can donate, click here. This is a wonderful way to spend your wedding anniversary and make a difference in so many others’ lives! I love that this became a group effort with your friends, family and Mariamor Designs. It’s wonderful to hear that these kids love school and are embracing education – thank you for sharing more information about this amazing initiative at the Tujatane School and how others can help! It really turned out to be so more than we could have expected. It was an incredible experience! It was great to hear and see how excited they were to go to school. We definitely take it for granted in America. We had a lot of support to help the school and we couldn’t have done it without them. such a beautiful gesture. I am proud of you guys. I would try to follow your initiative and contribute too. thank you! Any little bit can help. The kids and school appreciate everything and they make sure nothing is wasted. Amazing! If only there were more people like you around. But everybody wants to spend their wedding anniversaries in luxury hotels suites rather than with the poor children. I love what you are doing! Thank you for your kind words. When we heard about this activity within the hotel we instantly knew we had to do it! We feel we received a lot of the experience. I love the initiative of the resort you stayed in, giving back to the community and such. I think all hotels and resorts should follow their example especially in impoverished countries. Congratulations on your anniversary, im sure it was time well spent for you. We feel that every company should give back to the community that they are in. It is a great way to build trust. Thank you for the kind words. It’s a very nice experience that we’d like to try at least one time in our lifetime! Yes, we want to help 🙂 Thank you for you inspiring post! We knew when we decided to go to Africa and this was available to us that we had to do something. Even if it only helps a little bit. It was a very rewarding experience. This definitely had an impact on our lifestyle now. We think about how we can give back all the time now and are so happy we were able to experience it. Wow, definitely a memorable and rewarding travel experience. And nice way to celebrate wedding anniversary by giving back too. Thank you for sharing and giving! This was definitely a rewarding experience for us. It was an unconventional anniversary but we really enjoyed it. Very cool story of your contributions and experience to Tujatane! I’m very sure the kids and community appreciated the gesture and making a positive impact to these people. It was really cool to see their eyes light up but it was even better to see the performance they put on and just how much they enjoy learning. We were very appreciative of everything we received from our family and friends and the school was very grateful. It was worth everything to see the smiles on their faces. A wonderful initiative among the travel blogs. I have not seen much blogs get into the volunteering services. Your blog post will set examples for others as well include me 🙂 Your wedding anniversary will be a memorable one for the life time. Happy Travels! WE do hope that others will consider donating their time or money when traveling from now on. It really is simple to do and it has a lasting impact on you and them. It meant everything to us to see how excited they were. We really take education for granted. Wow, what an amazing thing to do! It seems indeed like a rewarding travel experience. Besides this, I also wanted to tell that the world needs more people like you in it. Unfortunately, there are many others who don’t even look at these initiatives. Thank you for your nice comment. The second we saw this experience available to us we knew we had to do it and give back at the same time. They truly appreciate their education.